Each Beit Halochem has at least one dance troupe. These are led by professional choreographers. 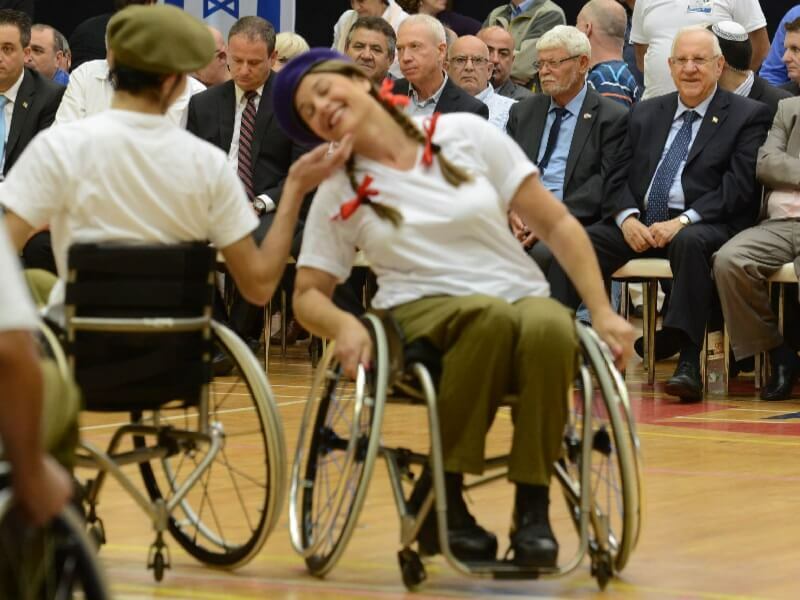 The dance troupes are composed of men and women dancers in wheelchairs paired up with standing partners who volunteer their time to dance with the wheelchair dancers. It’s a true manifestation of the dream to dance and the victory of mind and spirit over the body. The troupe’s program includes a rich repertoire of song, dance and stage performance including Israeli and International Folk dances, Latino and Ballroom dancing and colorful costumes to match them. There are also several couples of professional Ballroom and Latino dancerswho perform and compete throughout the world in the circuit of international competitions bringing medals and great pride to Beit Halochem and Israel. Each Beit Halochem also has a singing troupe. They perform regularly at national Remembrance Day ceremonies and represent ZDVO at national choir festivals. They also travel to Europe and represent Israel and the ZDVO in international choir festivals.